Please include a little bit of information on the concept, any particular processes involved in modelling and if you do include a render, which software was used. Your work featured on the Official SketchUp UK social media pages (run by distributor Elmtec) and on CAD Software Direct. Check out the Twitter and Facebook pages! Email [email protected] with your entry. 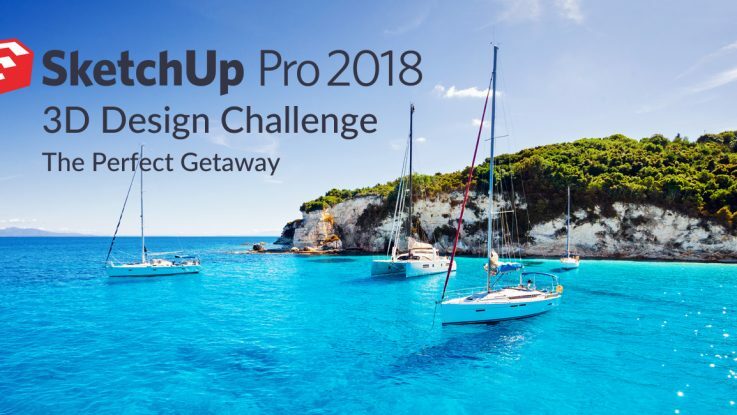 The competition is open to everyone and users who don’t currently have SketchUp can download the SketchUp Pro 30 day trial here. Your work can be submitted from now (17th May, 2018) until 5pm 30th June, 2018. Create a 3D model of your perfect getaway home (e.g. villa, house, chalet etc.). The model must not have been previously published anywhere. By entering you consent to your work being featured on SketchUp UK social media. The submission can be of your model directly within SketchUp or it can be rendered (in which case we will still need the original skp file). The winning entry will be decided by CAD Software Direct and this decision is final.